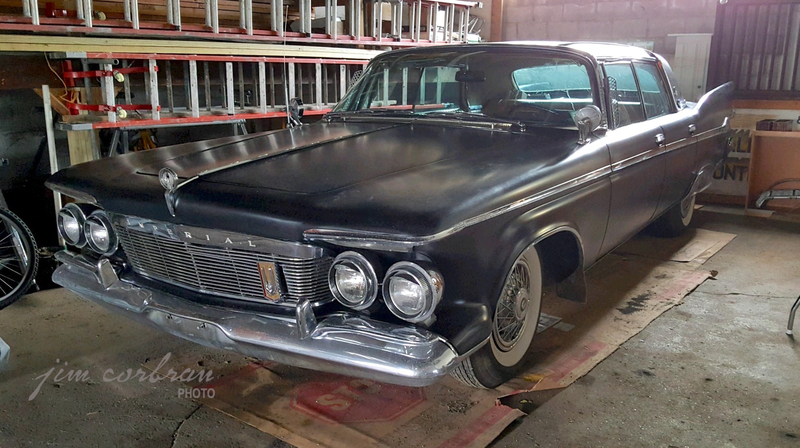 This 1961 Imperial LeBaron Southampton (one of only 1,004 made that year) is just one of a number of cars to be found in the garage of Buffalo promoter and local real estate developer Joseph Galvin. The Imperial, of course, was Chrysler’s entry in the luxury car category, facing off against Cadillac and Lincoln for bragging rights at bankers’ conventions and polo match parking lots. Stylewise, the three seemed to being going off in three different directions, with the Lincoln breaking new ground not just in the luxury category, but in the automotive industry as a whole; the Cadillac was pretty much what you’d expect from early 1960s GM, while the Imperial was still a throwback to the late 1950s. Sales weren’t even close, with the Imperial around 12,000 and the Lincoln doubling that, while Cadillac ran away with it all by selling almost 120,000 cars. This one was photographed a while back in Buffalo.